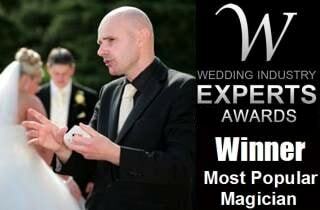 David's magic has enchanted audiences at trade fairs, awards ceremonies, business dinners and conferences throughout the Skegness area. Clients have been amazed by his slick sleight-of-hand skills and ability to perform outrageous mind-reading effects during a meal. 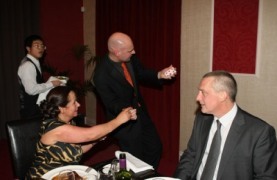 David's personable nature and knowledge of the corporate landscape allow him to blend in perfectly to such functions. As always, David plans meticulously for each performance and is delighted to discuss your particular requirements with you in order to create a customised package for your event. David has also offered his services to blue chip companies in order to utilise his extensive knowledge of magic to promote particular products and services. His 'Magic for Marketing' package has been highly successful in promoting business growth. 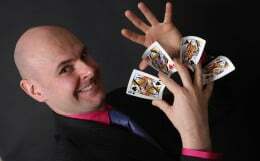 David is always delighted to discuss how he can assist businesses in Skegness with his prodigious magical skills.